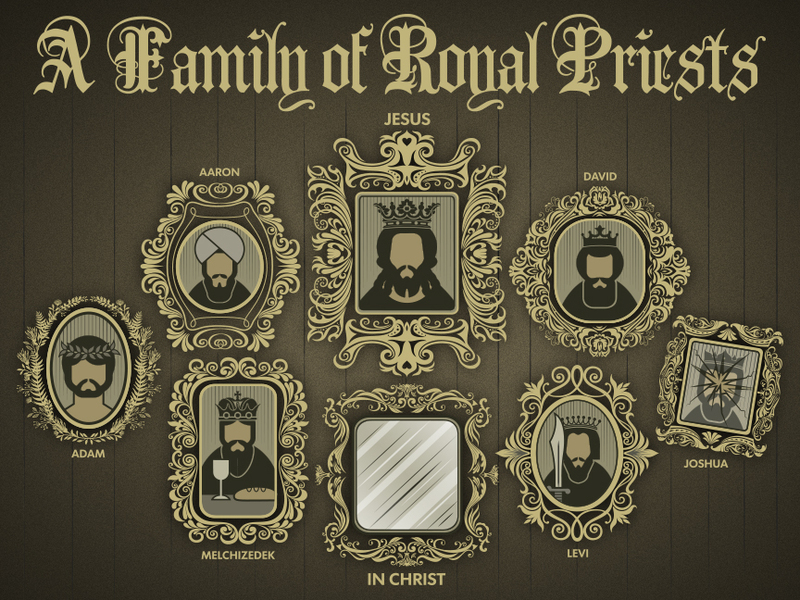 Genesis 14 introduces us to Melchizedek, the king of Salem and priest of God Most High. Psalm 110 applies the title Melchizedek to the greater Son of David. Psalm 110. A Psalm of David. 1 The Lord says to my Lord: “Sit at my right hand, until I make your enemies your footstool.” 2 The Lord sends forth from Zion your mighty scepter. Rule in the midst of your enemies! 3 Your people will offer themselves freely on the day of your power, in holy garments; from the womb of the morning, the dew of your youth will be yours. 4 The Lord has sworn and will not change his mind, “You are a priest forever after the order of Melchizedek.” 5 The Lord is at your right hand; he will shatter kings on the day of his wrath. 6 He will execute judgment among the nations, filling them with corpses; he will shatter chiefs over the wide earth. 7 He will drink from the brook by the way; therefore he will lift up his head. Hebrews 7 explains how Jesus Christ fulfills the promise of Psalm 110. Hebrews 7. For this Melchizedek, king of Salem, priest of the Most High God, met Abraham returning from the slaughter of the kings and blessed him, 2 and to him Abraham apportioned a tenth part of everything. He is first, by translation of his name, king of righteousness, and then he is also king of Salem, that is, king of peace. 3 He is without father or mother or genealogy, having neither beginning of days nor end of life, but resembling the Son of God he continues a priest forever. 4 See how great this man was to whom Abraham the patriarch gave a tenth of the spoils! 5And those descendants of Levi who receive the priestly office have a commandment in the law to take tithes from the people, that is, from their brothers, though these also are descended from Abraham. 6 But this man who does not have his descent from them received tithes from Abraham and blessed him who had the promises. 7 It is beyond dispute that the inferior is blessed by the superior. 8 In the one case tithes are received by mortal men, but in the other case, by one of whom it is testified that he lives. 9 One might even say that Levi himself, who receives tithes, paid tithes through Abraham, 10 for he was still in the loins of his ancestor when Melchizedek met him.